The dream to work at a motor manufacturer was then shattered by KTM in the ’90s. With the knowledge gained Wilbert Bull then used it in the exhaust industry in which it operates now more than 25 years. Started as a developer at BSM Exhausts, later he took the entire approval process for any licensed outlet under his wings. Since late 2010 he has been self-employed with Bull Special Products in Lichtenvoorde. With Bull SP he develops and produces exhaust for most diverse vehicles. About 3000 exhaust or exhaust parts per year this with an annual growth of 20%. Exhausts for Canta disabled vehicles and autocross, motocross and sidecar cross mufflers and systems. In addition, dampers and systems for the retro / vintage road and off-road motorcycles. A wide range of products developed each made with commitment and passion. 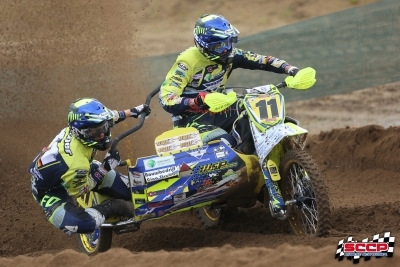 Meanwhile, there are many national, international and world titles in the achieved in sidecar cross sport. One of the next goals is to achieve these titles in motocross. The development of new products is in full swing. Soon there is the approval of the Department of Road Transport to be allowed to do under the name Bull SP approvals for their own developments. This is a crowning resisted work in recent years. For the foreseeable future Bull SP will make a major contribution to the development of new design exhaust systems and silencers for the retro market.